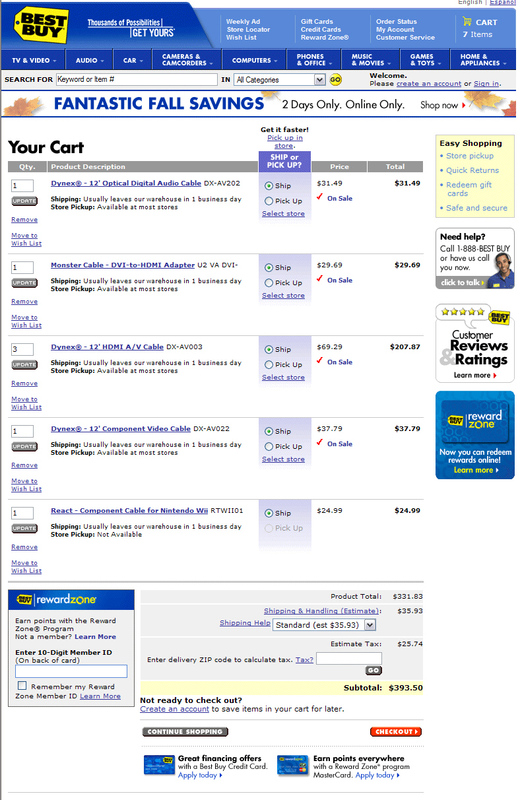 An HDTV is coming soon and so I want to make sure I have all the right cables for all of my toys. The home theater room I built has conduit in the wall so I can completely hide all of my cables but because of that, some of the cables need to be a little longer than a standard 6 foot cable. 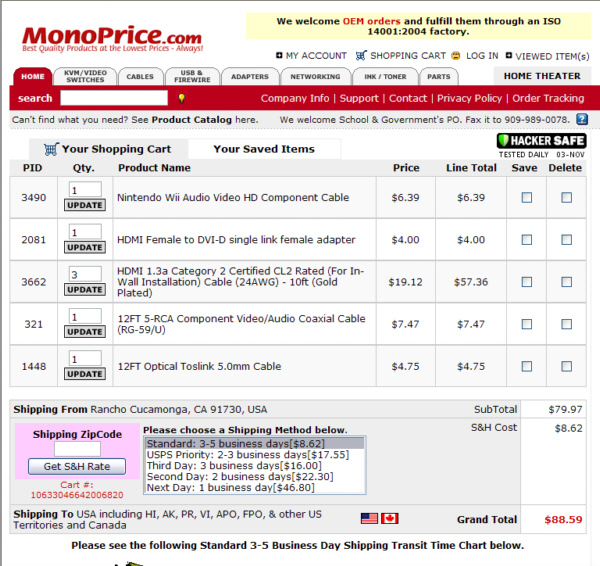 I first heard about MonoPrice.com on the HTGuys podcast… with that savings, I’m going to buy them a cup of coffee. Great advice. Cables are a grand scam. It is ironic that cables for digital signals don’t need to be expensive. Analog cables for audio and component video are a *little* more worthwile, but still generally massively overpriced. I’m so glad I came across your site. Cables, wall outlets, etc… were going to cost a fortune. Thanks for putting me on to Monoprice.com. They even have what I was looking for to accomodate a 7.1 setup.